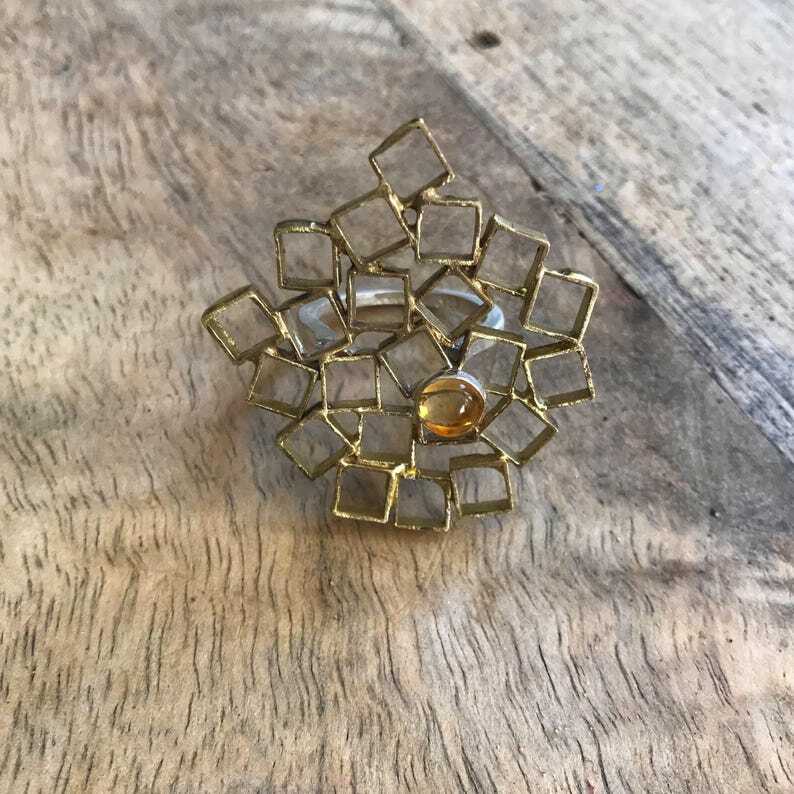 Geometric yet organic brass ring with Citrine. The ring band and bezel are sterling silver in a size 7 3/4. This ring makes a bold statement without the weight. This design is protected by copyright.